Boasting stylish looks, high levels of comfort and the smoothest of rides, the Citroen C5 is a great choice for drivers who regularly clock up plenty of miles behind the wheel. This saloon is in its element on the motorway and thanks to economical powertrain options you shouldn't have a problem keeping running costs down. 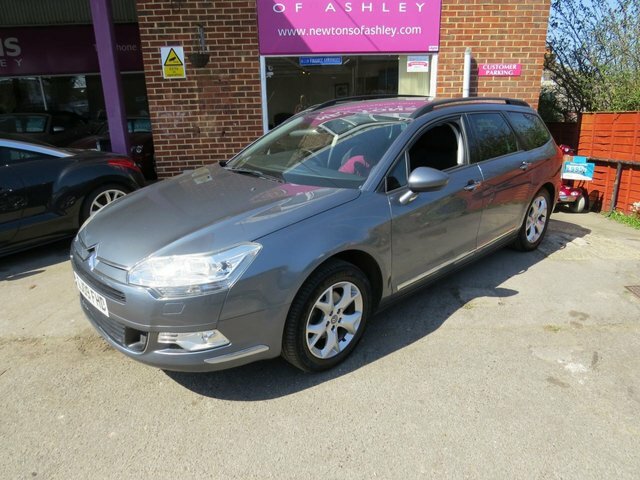 Why not take one of the used Citroen C5 models for sale in New Milton out for a test drive? Simply contact a member of the team at Newtons of Ashley Ltd today and we'll make all the necessary arrangements. You can view the full lineup of used cars available here on the website too, so start your search right now.